Anime of the Week | We ♥ Shoujo!! When school starts, I will not be able to do Anime of the Week every Friday, since I will have Sunday classes as well. So I think it would be best if I don’t do Anime of the Week during the school year. I will try my best to keep blogging during the school year, but I will most definitely not be able to post every single day like I do in the summer holidays, so I’m sorry! :) This is a really time consuming hobby, after all. The anime I am currently watching is Chobits. I will probably watch Hanasaku Iroha next, or Kobato. I haven’t made that decision yet. Anyone care to make a few suggestions for good animes to watch (shoujo please)? 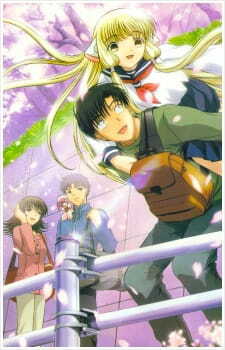 Anime of the Week: Chobits!!!! Well, well, well, haven’t had one of THESE in a while! The first ever was, of course, the first ever post on this blog, the super amazing LAUNCHING!!! This is a super amazing ANNOUNCEMENT. Just point out the difference and repeating myself.